It’s a blushin’ blockbuster! For the FIRST-TIME EVER, Benefit’s famous box o’ powders are all together in one cheeky sweet spot. taken from the Benefit website here. The set comes in a little Christmas Sweet Shop themed tin. The packaging is rather bulky, but holiday sets are known for their novelty rather than for being sleek. The tin doesn't have a magnetic closure from what I can tell, it is only a slightly secure lid so if you were to travel with it I would wrap a rubber band or hair tie around it to make sure it doesn't pop open. Inside there is a plastic overlay printed with the names of the powders. The six powders are in two rows and seem to be in a tray that is easily removable. This is great because if you want to move these powders into a Z Palette (which I probably will) you don't have to utterly destroy the packaging. 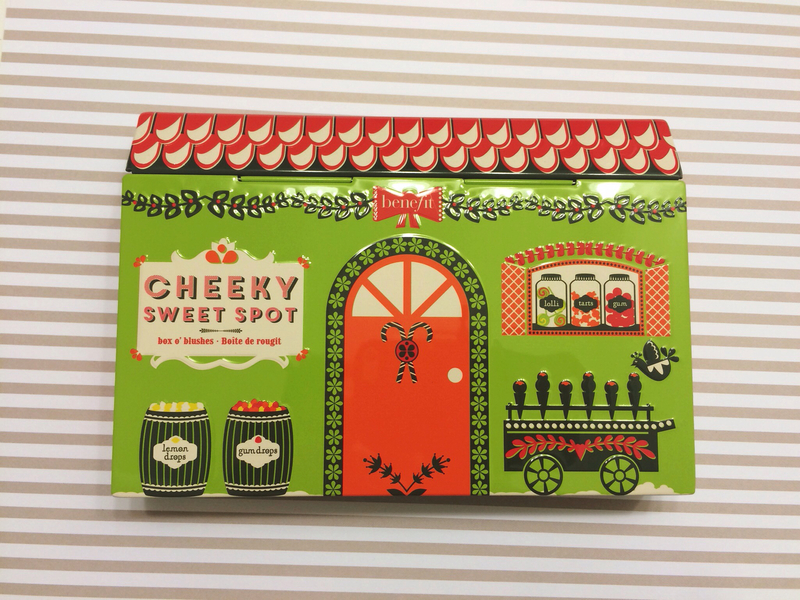 You could probably use the tin box again and, if you are lucky enough to have a beauty room, you might be able to collect all the sets to create your own Christmas Beauty Village. 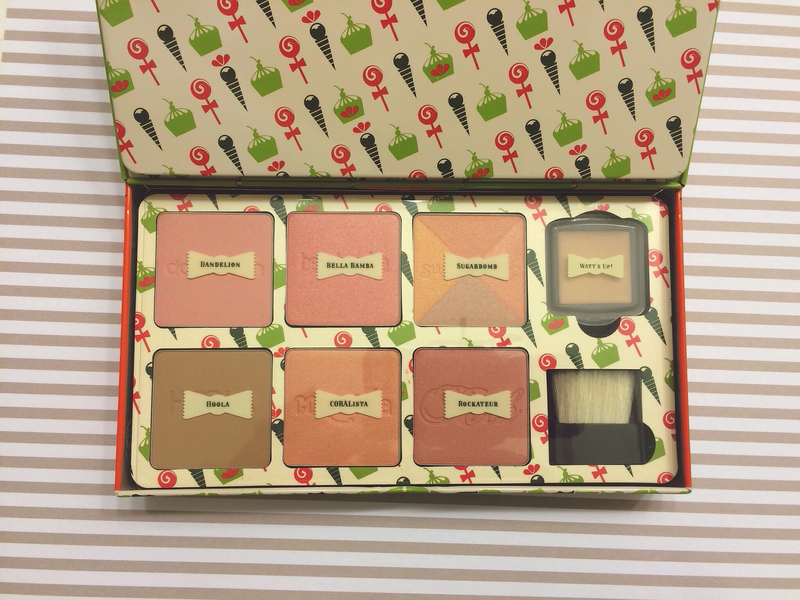 When I first opened this set I was quite surprised because, to me, the Hoola bronzer looks a little bit lighter than the other sample I have. However I believe it is just the difference in color of the packaging that makes it look lighter. Each blush is imprinted with it's name and the pans are big enough to fit a large blush brush. The Watt's Up sample is also sealed. Since it is a cream product it won't dry out or get dust from your powder products into it. The Watt's Up sample is also easily removable. The pigmentation on these is actually what didn't impress me. These powders are rather light and require a bit of build up before I could get the pigmentation I wanted. I was expecting more pigmentation but, straight from the pan, it's more of a lighter flush. I've found that these blushes have different finishes and their sheer pigmentation really lends them to being layered. You can bring an extra dimension to blushes already in your collection or layer these over each other. The only face powder that packs a real punch is the Hoola bronzer. Even though I wasn't impressed with the pigmentation I was impressed with the wear time. I wore this over a long wearing foundation and the powders stayed on my cheeks all day long. Bellabamba and Coralista have to be my favorite colors because they are the most pigmented. The cream highlighter is also a nice champagne color. It isn't glittery or shimmery and applies evenly to the skin and is long lasting as well. I wear make up for a full 8+ hour day and at the end of the day the blushes were still on my cheeks. 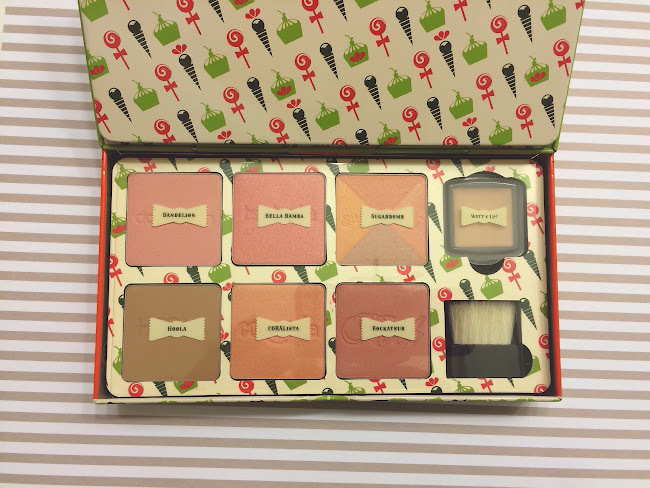 Overall I think if you're interested in trying a wide range of Benefit's Boxed Powders this palette is an amazing deal. 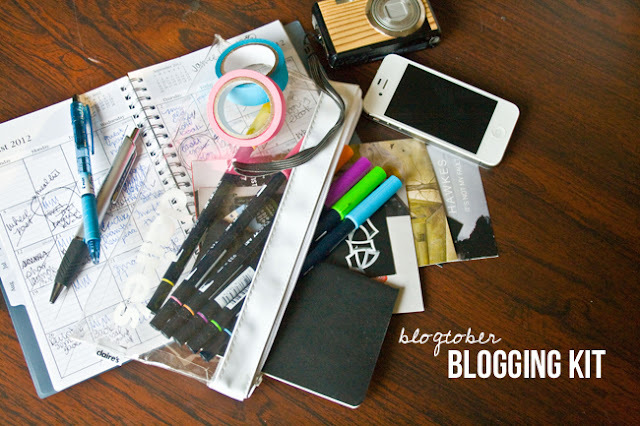 You are paying $7 more for 5 more blushes - $36 for six blushes or $28 for one. And like I mentioned above, you're getting a full size of the Rockateur blush in this set. You're also getting one of the last itterations of the Bellabamba blush as I believe it is being discontinued! Even though the color payoff isn't as great these blushes are great for layering on each other or on other blushes in your collection. All in all, for the price, you really can't beat this palette!! 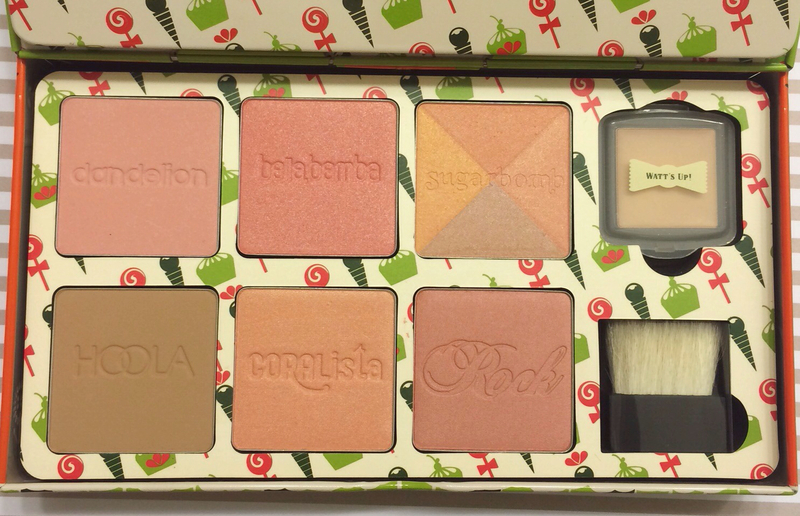 Have you found a Holiday palette that you're just dying over?